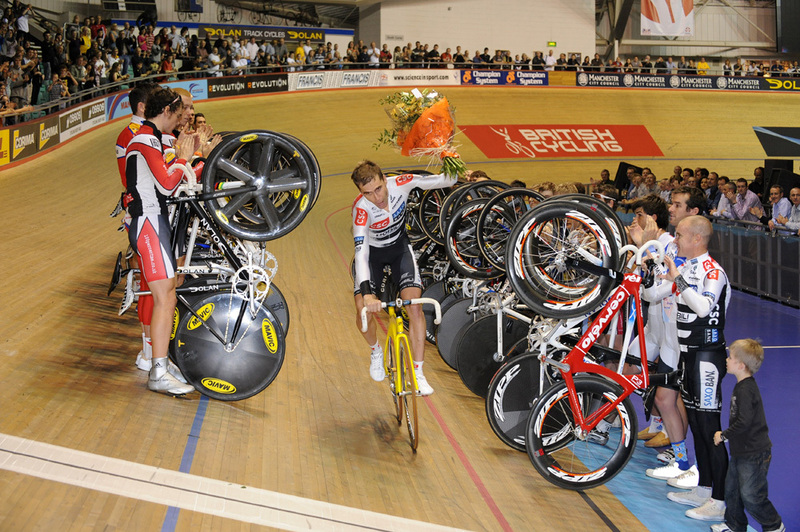 Australian pro Bradley McGee ended his successful cycling career at the Revolution track meet on Saturday night in front of a sell-out crowd at Manchester velodrome. A special slot towards the end of night’s racing programme allowed the assembled endurance riders to line up on the track in time-honoured fashion to give McGee his send off. 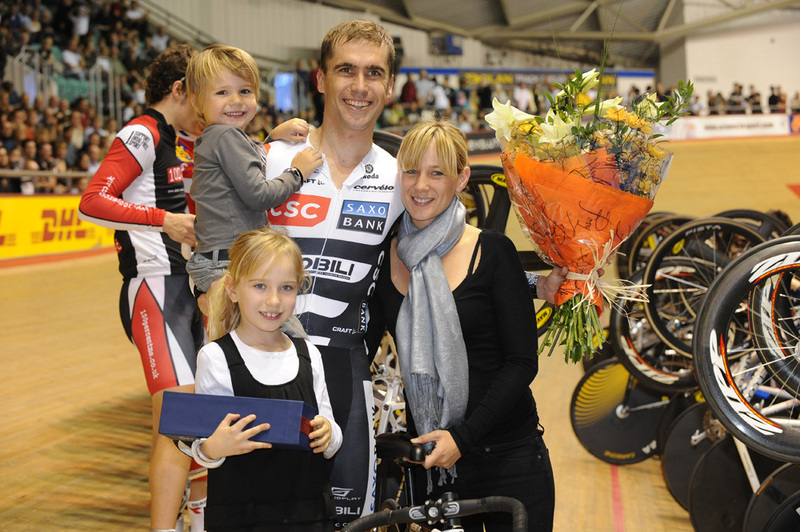 McGee was joined on track by his wife and two children. McGee is one of only fifteen riders to have worn the leaders’ jerseys in all three major Tours in the post war era. Now McGee has retired, Alberto Contador is the only rider in the pro peloton to have achieved this feat. 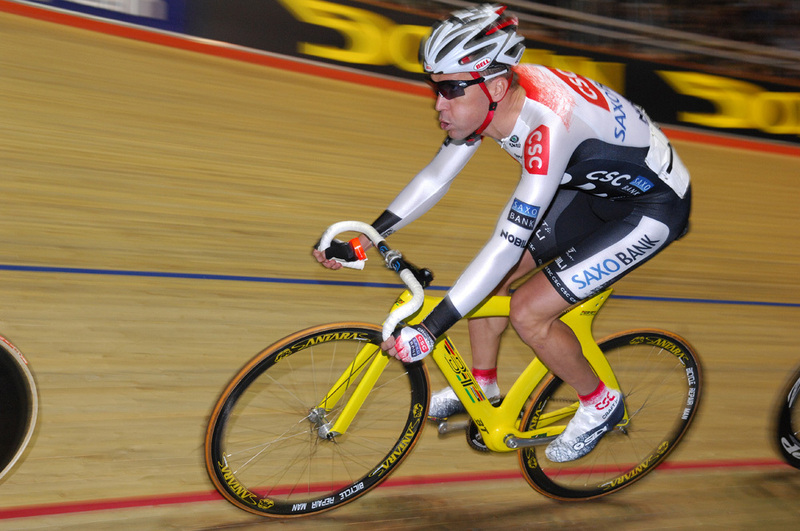 McGee’s first professional win was the prologue of the Tour of Normandy in 1999. Since then he was won five Olympic medals, a prologue and stage of the Tour de France, worn the leader’s jersey in both the Giro d’Italia and Vuelta a Espana and many other victories on the road and track. McGee will still be involved in the cycling world as he takes up a directeur sportif role with the Team Saxo Bank outfit for 2009. 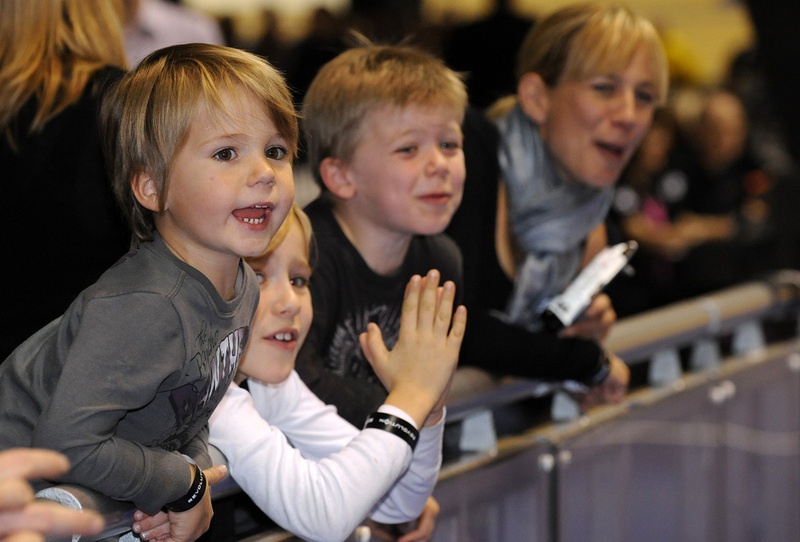 Saxo Bank has its first training camp from next Friday (November 21) in Denmark. This first team get together involves the now traditional ‘boot camp’ out in the Scandinavian wilderness which will this year be experienced by Manxman Johnny Bellis as he starts his first year as a professional rider with the Danish team. Bradley McGee rode the course of the 2009 Tour de France stage one time trial in Monaco for an exclusive feature in the current issue of Cycle Sport magazine. A Tour prologue winner himself, McGee is also a Monaco resident – so who better to recce the opening day’s course and assess its impact on the 2009 race. Measuring 15 kilometres, the course is a hilly affair which will favour the power time triallist and give the winner a chance to put some serious time into his rivals. You can find out what McGee thinks of the course, and who he picks as a winner, in the feature. Cycle Sport December 2008 issue is on sale now in WHSmith, major supermarkets and all good newsagents priced £4. Full details of what is in the December issue can be found in our news section.